As passenger numbers increase, the need to provide a higher quantity of seats in existing gate rooms is now a priority. Closely collaborating with industry architects, operators and specifiers, OMK has recently launched a new FLITE system to the market to fulfil the requirements for high-density lounge seating. 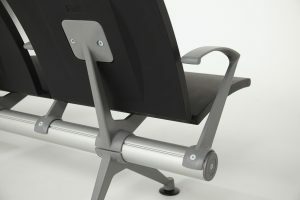 FLITE offers a 10% increase in seating capacity over alternative products, creating a low-cost yet robust seat with a tighter footprint and the rolled front and back panels eliminates the problems of accidental impact injuries. The new range is created as a high-density seating solution for next-generation super jumbo aircraft such as the A380. The minimalist structure uses a single support bracket and identical-injection, moulded, self-skinned polyurethane seat and back panels available in any RAL colour. This simple concept offers advantages for in-house maintenance both in terms of cleaning and easy replacement of individual panels. The entire unit may be assembled in minutes using a single tool. Guaranteed against structural failure for a minimum of 25 years. Has been independently tested by FIRA to withstand 25 years of heavy contract use in accordance with BS EN 15373. Metal components are finished for interior and exterior use and are UV stable. All components can be coloured to any RAL colour. 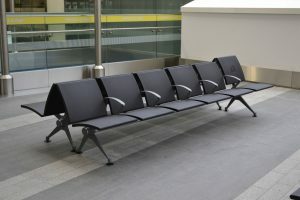 Has been tested to and exceed the fire-rating requirements set out in BS5852 crib source 0, 1 and 5 and are approved for use in public waiting areas. 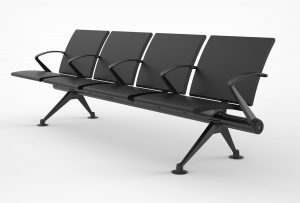 All seating products and tables supplied by OMK have been tested to and exceed the fire-rating requirements set out by British Standard BS5852 crib source 0, 1 and 5 and are approved for use in public waiting areas. 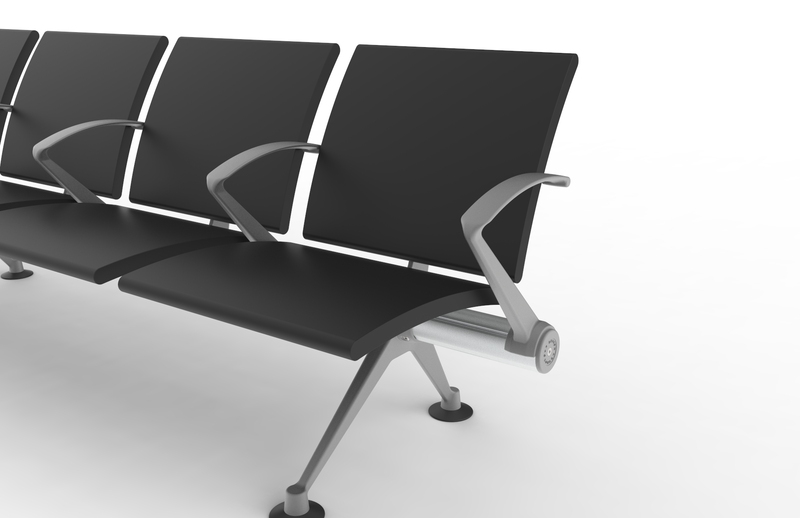 FLITE incorporates 30 years of experience in the public seating sector, designed to maximise space the small footprint offers 10% more seating over other systems. 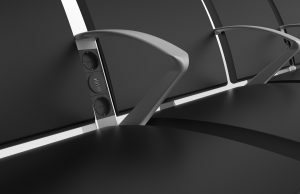 A minimalist structure utilises a single bracket supporting 2 independent identical seat and back panels allowing either to be easily replaced in situ in the event of damage without the necessity to replace or repair the whole seat. A gap between the seat and back eliminates dirt accumulation and allows any spilt liquids to drain immediately. Seat and back panels are identical minimising the number of components and making it easy to stock spare parts. Rounded edges eliminate the problems of accidental impact injuries. All panels are interchangeable allowing in-house maintenance staff to easily change the specification should future passenger profiles change. 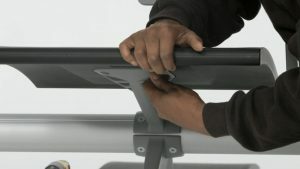 Armrests may be added or subtracted as they are not integral to the seat and the fixings remain common on all beam configurations. Injection moulded polyurethane panels are formed around an integral steel sheet and self-coloured throughout. Tables are double sided allowing them to be reversed in the event of surface damage and incorporate through fixings to facilitate this. Components can be removed, added and transferred making the units easily reconfigurable.